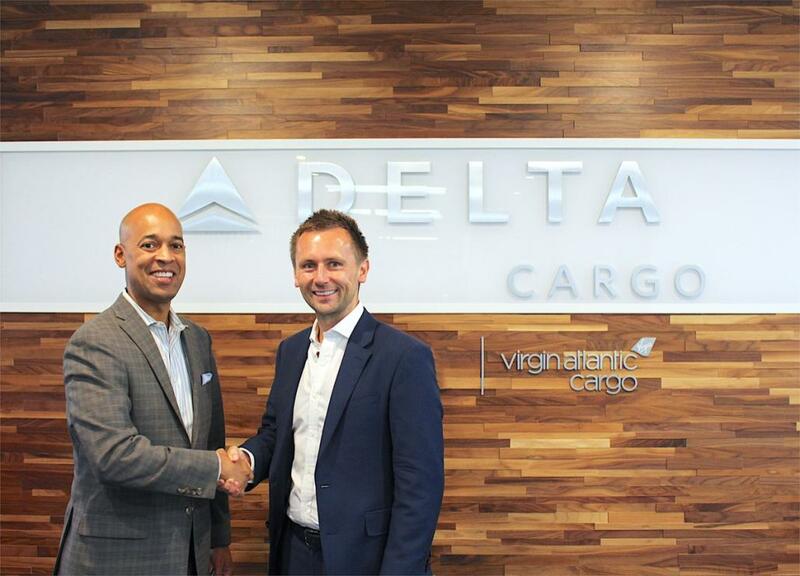 (l-r) Shawn Cole, vice president – Cargo, Delta Air Lines; and Dominic Kennedy, managing director of Virgin Atlantic Cargo. The airlines’ commitment to build the leading trans-Atlantic partnership has already increased customers’ access to major cities in the UK and North America, with a 20 per cent rise in the number of Delta and Virgin Atlantic flights since the joint venture began. Customers now have a choice of 74 daily flights serving 28 routes between the UK and US which, in 2018, carried over a quarter of total trans-Atlantic air cargo volumes. “Our long-term cargo strategy is to build an unmatched trans-Atlantic partnership with our joint venture partner, Virgin Atlantic,” says Shawn Cole, vice president – Cargo. “We are focused on finding ways to work more closely, collaborate and share information – ensuring we are doing all we can to support our customers on both sides of the Atlantic. 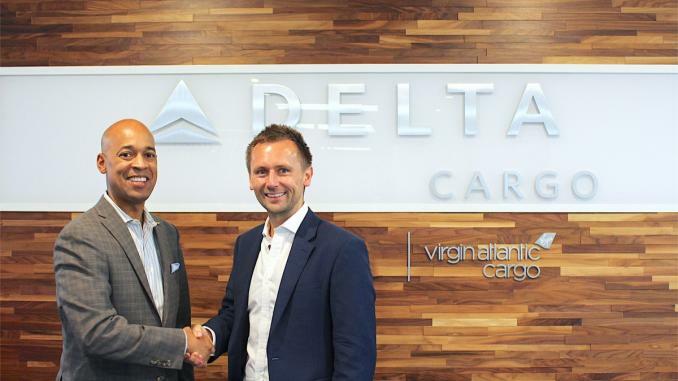 “The original deal was a game changer for Delta transforming our ability to compete on trans-Atlantic routes with access to London Heathrow, as much as providing Virgin Atlantic unparalleled access to Delta’s US network,” Cole says. The two carriers say 2019 is shaping up to be another exciting year as they build on their successes of being the most on-time partnership to North America at London Heathrow; moving into a new state-of-the-art warehouse at London Heathrow later in the year; plus a focus on digitisation and ensuring transparency throughout the shipment journey. Delta is adding a new nonstop service from Edinburgh to Boston, while Virgin Atlantic has scheduled an additional daily flight to Boston from London Heathrow. Virgin Atlantic is also adding more flying between Manchester and the US with new nonstop service to Los Angeles and increased frequencies to Las Vegas, Boston and New York. Dominic Kennedy, managing director of Virgin Atlantic Cargo, comments: “Our intention has always been to ensure that whatever we do as a joint venture, it must deliver real benefits for our customers in terms of more choice, service quality and being easier to do business with.